I thought Abiah’s remake of Tina Turner’s “What’s Love Got to Do With It” was one of the high points on his very strong 2016 album Bottles. A major part of what I found appealing about Abiah’s remake is how he reimagined the song’s arrangement, and his soaring tenor was a tremendous contrast to Turner’s raspy, southern soul infused vocal. Simone’s protest music made her a household name in the turbulent 1960s when songs such as “Mississippi Goddamn” captured the zeitgeist of the times. However, Abiah Sings Nina finds Abiah focusing on Simone’s work as a balladeer, and the High Priestess of Soul had few equals in that category. That’s a wise choice because Bottles showcased Abiah’s skill as a ballad singer as well. One thing that becomes apparent from the opening line of “Black Is the Color of My True Love’s Hair” is that Abiah and Simone occupy similar vocal territory. So Abiah’s challenge is to find a way to honor his musical hero while not stooping to mere imitation. In some cases, Abiah accomplishes this by totally reworking tunes that Simone made famous, such as “Don’t Let Me Be Misunderstood.” Simone’s best-known version of this tune found her fusing some of her classical training with the gospel and soul that she heard in church and throughout her community, while Abiah transforms the song into a percussive piece propelled by piano and drums that has a martial feel. In other cases, Abiah chooses lesser known numbers from Simone’s canon, such as the closing number “I’m Just Like You” or “See-Line Woman.” With its swelling strings, and piano leading the pace along with Abiah’s mournful vocals, “I’m Just Like You” - which is lone political track on this album – is a plea to look past the surface differences of skin color and focus on the things that unite humanity. Abiah largely maintains the percussive arrangement with the call and response on “See-Line Woman,” a song that refers to the women waiting at the docks in coastal communities to lead sailors to the nearby brothels where the men were usually liberated from their money. Abiah also stays true to the original on his take on classic tracks such as “Wild Is the Wind,” a lovely ballad on which he sports an intimate arrangement featuring piano and brushes on the drum, serving as a foundation to showcase Abiah’s vocal performance. 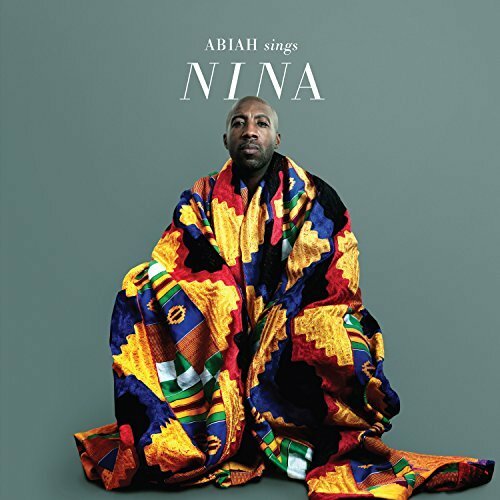 Abiah releases his tribute record, Abiah Sings Nina, at a time of heightened interest in Simone’s art, her struggles and her activism – musical and otherwise. In 2018, the age of Trump, when the some of the president’s supporters demand that celebrity critics shut up and dribble, throw or sing, it’s obvious why the resistance turns it eyes to a figure such as Simone, an artist who had no problems transforming social commentary and criticism into song. “Mississippi Goddamn,” “I Wish I Knew How it Would Feel to Be Free” and “To Be Young, Gifted and Black” are among the Simone tunes that would be included on any anthology of civil rights era protest music. Abiah’s tribute reminds us that Simone was so much more. Strongly Recommended.